Basic recipe for Iced Pumpkin Cookies that makes such a moist cookie it melts in your mouth! Easy Thanksgiving Day dessert idea. Hello! Before it’s too late I want to share a fall-inspired cookie recipe, but there’s a little story to tell first. I used to have a recipe card for Iced Pumpkin Cookies in my recipe box. It was old and stained, but still readable. I know it was there like I know my own name. When I went to look for it a few days ago it was gone. I sat and looked through every single card, slip of paper, and torn magazine page in my box. It was not there. So…I wasn’t sure what to do. After all, that was MY pumpkin cookie recipe. I found the next best thing in an old cook book that was my grandmother’s. It’s called Betty Crocker’s Cooky Book. Sure enough, there on page 30, was this basic, very-close-to-my-own pumpkin cookie recipe. I made just a few updates and left out the raisins. Here’s what I came up with. With an electric mixer, beat the brown sugar, eggs, shortening, and pumpkin. In a separate bowl, whisk flour, baking powder, cinnamon, nutmeg and salt. Slowly add dry ing. to pumpkin mixture. Beat well. Fold in walnuts by hand. With a 2 in. scoop, put onto cookie sheets. Cookies are done when tops crack and bottoms are lightly browned. Icing: Stir 1/2 c. softened butter with 1 1/2 c. powdered sugar. Add 2 T. milk. Stir until smooth. Add more milk, 1 T. at a time, until desired consistency. These cookies are simply amazing and so moist they almost melt in your mouth. You could leave the icing off but honestly, it adds the perfect finishing touch. There are no weird ingredients either. If you have a can of pumpkin, head to the kitchen because you are good to go. 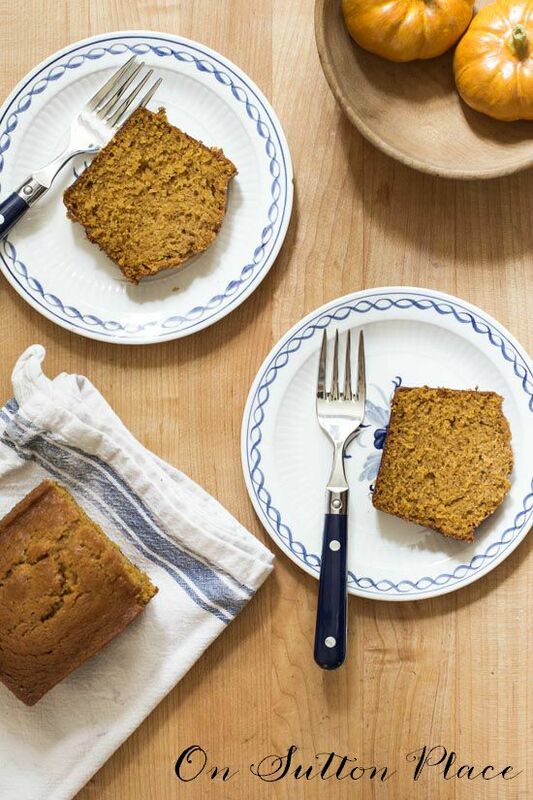 If you are looking for another easy pumpkin treat, here’s my Pumpkin Bread. This recipe is very simple too and makes enough to freeze or give away. It’s also so moist it will melt in your mouth! 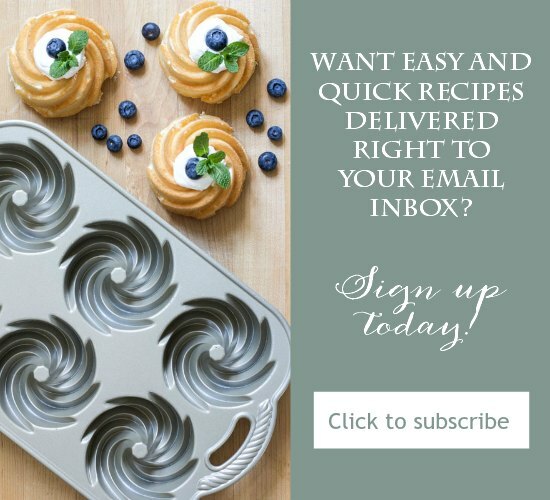 Are you a member of the OSP Community? These cookies look delicious; can’t wait to make them! Thanks for sharing. And by the way, I love everything you post, as I’m sure many others do, too. One of my highlights of my day. God bless you. no fans of walnuts here, so I would omit those. Are they soft or crisp? Ann…these rise up like my persimmon cookies and since I don’t have any persimmons yet I’ll make this recipe! They look scrumptious! Thanks again for a great recipe! 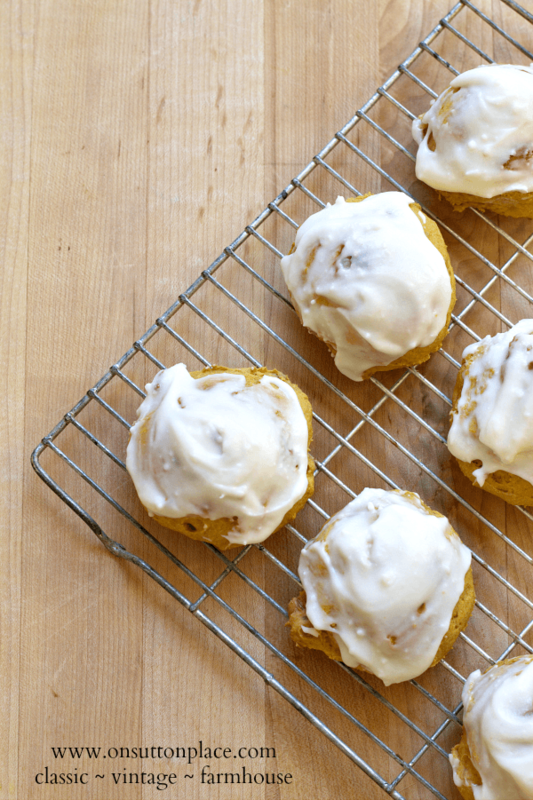 I love pumpkin recipes….especially topped with icing! YUM!!!!! 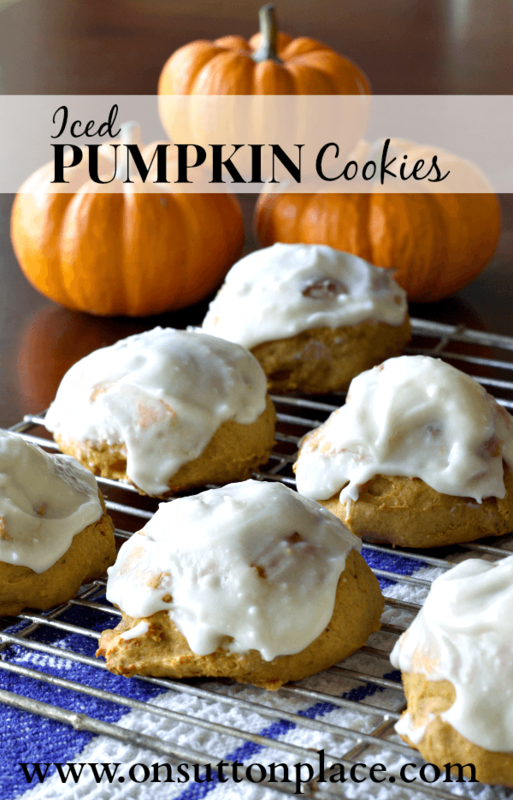 I just pinned it and sent a link to Shanley Belle….she will love these iced pumpkin cookies! :D I just love visiting your blog, Ann!!! They look yummy and I love anything pumpkin. I made these years ago and kind of forgot about them! Yummy, I could eat one right now with my cup of coffee. When I looked the other day there were no more give thanks pillows; I waited too long, I guess! :( I still want one–for NEXT year now–and I’d be glad to pay for it ahead or whatever you want to get it! Obviously, no rush! (503) 459-7118 for text msgs, above for email. Thanks, Ann. 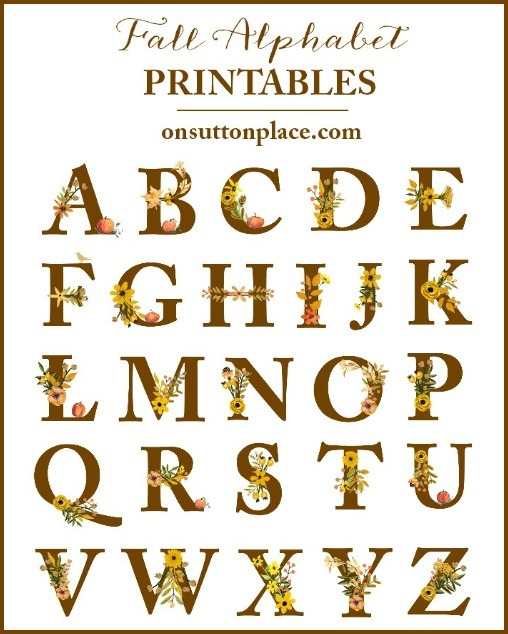 I LOVE your ideas and style and front porch and table settings!! I have that recipe! On a little 3×5 card, written in pencil and I thought it was a heirloom. :) I didn’t hear from you so I guess I wasn’t the pillow case winner. Good luck to whomever. Happy Thanksgiving!